250,000 miles click over, Nikki Talley just smiles. After 4 1/2 years of hard touring, 150-200 shows annually, Nikki continues traveling on, bringing her gorgeous voice & thoughtful songs all across the nation. Hailing from the mountains of western North Carolina, it’s only fitting that her songs are as eclectic as the state that boasts the mountains and the sea. 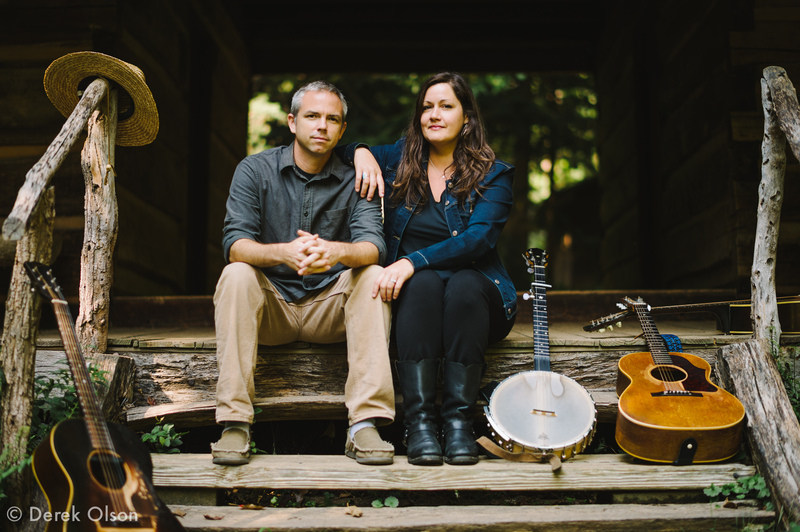 Along with her guitar & clawhammer style banjo, her musical partner & husband Jason Sharp adds resonant lush guitar tones as well as harmonies to round out the duo’s sound. Out From The Harbor is a collection of 10 songs recorded at Asheville’s Echo Mountain Studio. With only a few other additions to the record, including Michael Ashworth (Steep Canyon Rangers) on bass & tasteful percussion, the stage is set for Nikki’s soulful vocal and storied lyrics while Jason Sharp’s guitar soars alongside. As expected Out From The Harbor often travels through the element of water be it the sea, rivers, rain or tears. Nikki’s silken voice is on full display. The album opens with “Rainy Day”, a song about how sometimes you need a rainy day and that ‘all the sunshine in California couldn’t make this go away’. “Let’s Go Out On The Water” recalls a day of fishing with friends, a pastime Nikki & Jason enjoy while making musical tracks throughout the U.S. Whether it’s from the hills of haunted Appalachia, the seashores of the Gulf or the dry dusty heat of the desert, each song takes the listener along on the journeys that sometimes mirror the everyday adventures of the musical couple especially on the track “Travelin On” with lyrics “Travelin on just like we were kids on a merry go round and round / We’re somewhere in the middle of chasing our tails and chasing our dreams down”. You can find Nikki & Jason chasing their dreams down in their van, Blue Bell all across the country playing festivals, venues & house concerts.